Van der Vaart: "Anything's possible"
Gelsenkirchen - Rafael van der Vaart played a key role in inspiring his Hamburger SV team-mates to a 3-3 draw against FC Schalke 04 on the first game of the season. He scored a penalty and was heavily involved in a result which has raised hopes of a challenge for Europe in the port city. After the game, the Dutch midfielder, who is in his second spell with the Northern German giants, discussed his side's performance, their new system, and aspirations for the 51st Bundesliga season. Rafael van der Vaart: I don’t just look exhausted, I really am! It was an intense, draining game. Question: But I imagine you’re pleased with the performance and the point? van der Vaart: We can be very satisfied with our first game, and with a good performance to start the season. I had the feeling throughout that we deserved more than a point - we scored some lovely goals and played well, particularly after going a goal down early on. Question: What went through your mind when Schalke made it 1-0 after two minutes? van der Vaart: I think everyone probably thought “here we go again”. We came back well, though, and produced a strong performance, dominating our opponents. And this was away at Schalke, in front of 60,000 fans wanting us to lose - which makes the point even more satisfying! van der Vaart: That was a crucial penalty. When you’re behind at Schalke and then you get a penalty, you’ve really got to score it! I enjoy intense, passionate games in front of big crowds that’s what football’s all about and why I always enjoy playing here. Question: Last season, Hamburg lost 4-1 here. What was different this time around? van der Vaart: We were much more compact, patient and less nervous. We had lots of possession which we could construct our own game with. In both games, though, we were punished for our own sloppiness, conceding several goals. Thankfully, this time we showed our resolve and came back into the game to take the lead. van der Vaart: We put the system that the manager wanted into practice. I think I show my quality further up the field, that’s where I can help my team most. 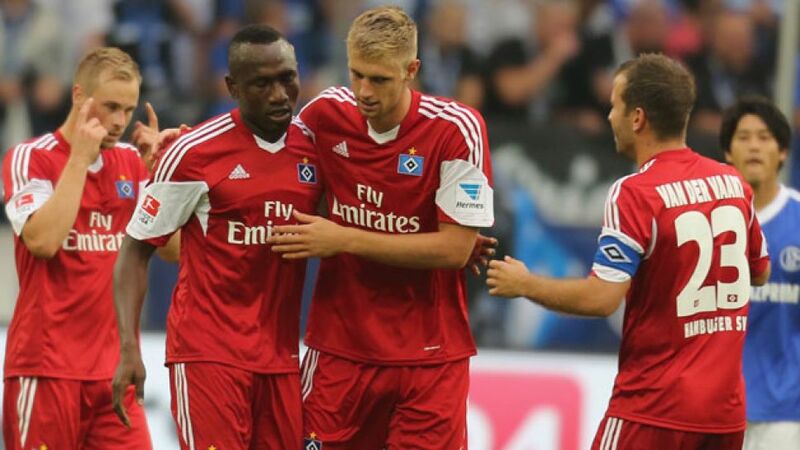 Question: What does the future look like for this Hamburg side? van der Vaart: We need to continue playing exactly as we played here. We’re aiming to play every match with the same passion and competitive spirit as today, and if we do, anything's possible. We’ve got Hoffenheim at home next week, and we want to give our fans something to cheer.